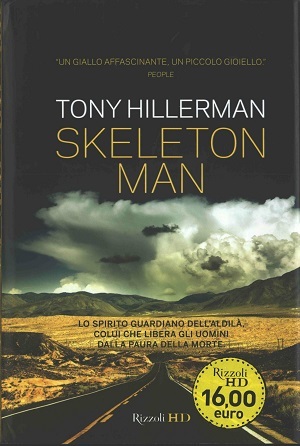 This is the first Italian edition of Skeleton Man. This edition was published in 2010 by RizzoliDH publishing in Milan, Italy. Tony Hillerman's original English text was translated into Italian by Giovanni Zucca. Format: Hardback, 24.4 x 16 cm. Binding: Glossy black hard boards with the author, title, and publisher's logo printed horizontally on the spine.